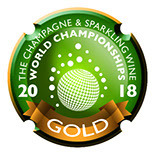 We are proud to have won a gold medal in the 2018 Champagne and Sparkling Wine World Championships for our 2013 vintage Brut. This is testament to the quality of our fruit grown on the North Downs and the dedication shown by our winemaking team to create the very finest Squerryes signature wine. Our signature Brut is made using the ‘traditional method’, taking the very best fruit handpicked in 2013 from our vineyard high on the North Downs. This vintage perfectly reflects the natural energy and purity of our vineyard, the white chalk seam that sits below our vines acting as nature’s best filter, removing any impurities creating a wine that is very soft and clean with a lovely smooth finish. ‘Licet Esse Beatis’, our family motto, means ‘permitted to be joyful’ and we say that we are in the business of creating joy. Our vintage Rosé is the very best translation of that. Elegant, full of red fruit and delicious this really is a wine for a social occasion with friends. A blend of our Pinot Noir and Meunier red fruit, this vintage is made by the ‘traditional method’, using fruit handpicked in 2014 from our vineyard high on the North Downs. Our first vintage holds a very special place in our hearts following the decision by the Warde family to plant vines on the North Downs in 2006 after negotiations with a French Champagne house broke down. Made by the ‘traditional method’, using the classic Champagne varietals handpicked from our vineyard in 2010 this is a late disgorged vintage, with the wine having over 80 months in contact with champagne yeast in the bottle, or on the ‘lees’. We only use grapes from our very own vineyard. We always have and we always will. We’re extremely proud of the flavour and aroma that are attributed to the terroir, it’s something we know we are very fortunate to have. So lucky in fact, that other people have been very interested in our land. Back in 2004, a Champagne House visited Squerryes to try and buy some of it. A geological survey had confirmed that our chalk escarpment had qualities similar to the esteemed “Cote des Blancs” region of Champagne. Along with the soils, the long moderate summers and cool evenings provide the perfect growing conditions for the Chardonnay, Pinot Noir and Meunier vines. 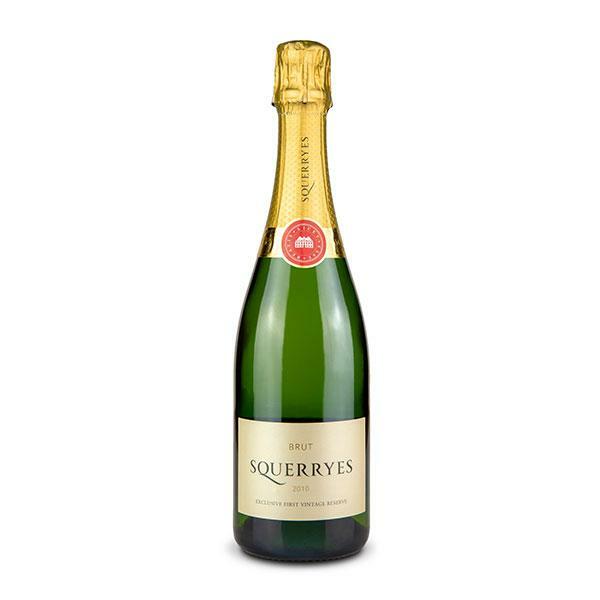 Without doubt, our Squerryes does have similarities to that produced in the Champagne region. 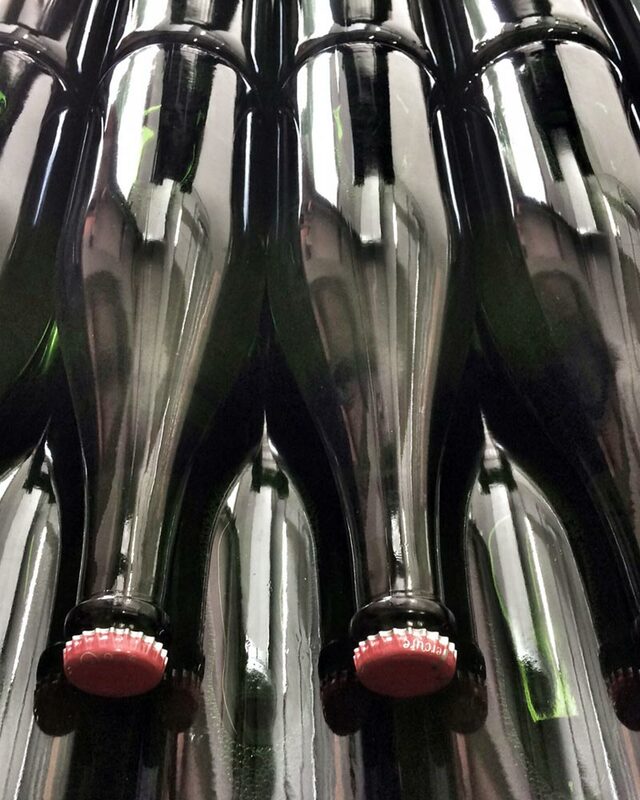 We use the same complex bottle fermentation process, that is used in the Champagne region, so a likeness is inevitable. However, take a minute, and you start to notice the differences: the balance of fruit and yeasty characteristics on the nose; the complexity and depth on the palate; and the long straight finish all combine to give a distinct flavour that is very much unique to Squerryes. Our latest vintage sparkling Brut wines are available to buy through our shop, in 6 bottle cases or single bottles. We also have branded Squerryes flutes, gift boxes and wine accessories.